I couldn’t wait to try this precious serum – it was like liquid gold. I was never a believer in antioxidants, even when I sold skin care, it was the product I didn’t think I needed. Well, I’m a believer now. Having tried Obagi Professional-C Serum I understand why it’s important to use an antioxidant on a daily basis. Antioxidants offer protection against sun exposure, air pollution, and other factors. Professional-C serum offers maximum protection against premature aging and assaults caused by the enviroment. It neutralizes free radicals that are the main causes of fine lines and wrinkles. Plus it stimulates collagen for more resilient and firmer skin. Professional-C serum also lightens and brightens the skin, my favorite aspect since I suffer from hyperpigmentation. My skin was smoother, clearer and more luminous. I like the idea of glowing from the inside. Professional-C serum has a deeper penetration level then it’s counterparts, the deeper the penetration the greater the protection. 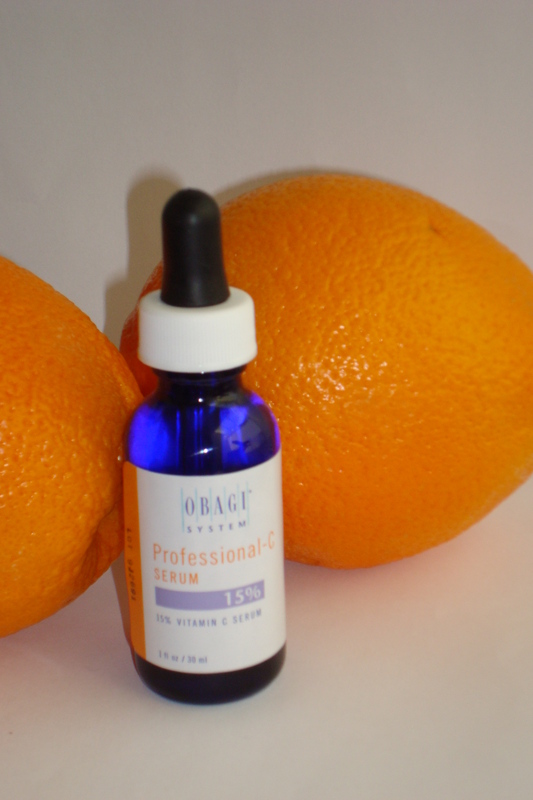 Using Obagi professional-C serum is protecting your skin from further damage, shouldn’t you be protecting yours? OBAGI Professional-C Serum gets a TEN!